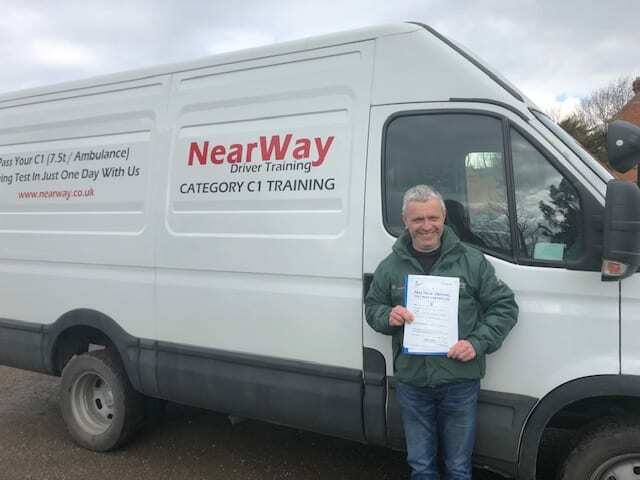 A big well done to Wayne Woodfield who passed his C1 Licence Training on 3rd April 2019. Wayne gave an excellent drive during his test and not only passed on his first attempt but also did so with picking up a single driving fault!! An excellent achievement! 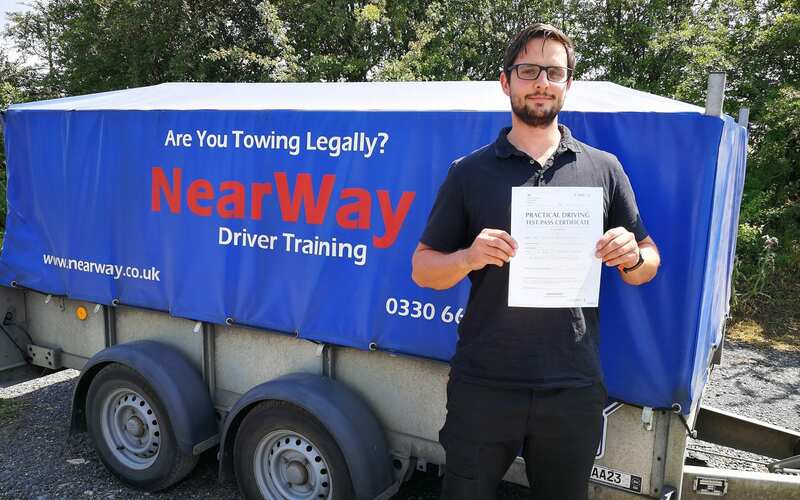 Congratulations Wayne, from your driving instructor Ian and all the team at NearWay Driver Training. 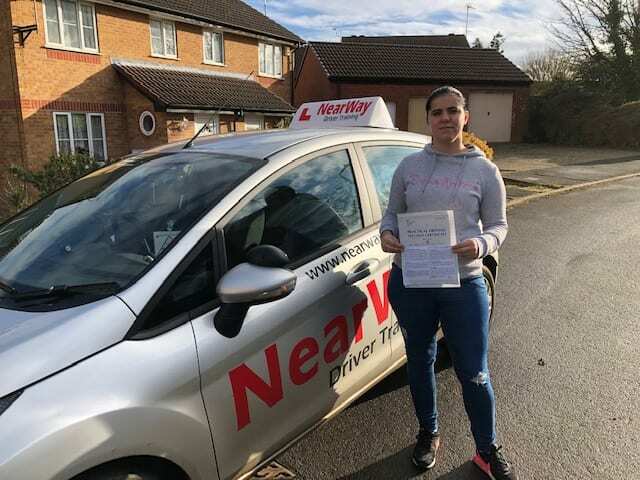 Most C1 training companies will only provide your practical driving tuition and will often tell you to go away and pass your theory test before contacting them for the practical driver training and test. Choose us for your C1 training and we will take care of the process every step of the way. Medical Organised and booked with a specialist drivers medical doctor. DVLA forms posted to you pre-filled in, just sign and post. Free and unlimited use of excellent online resources to pass your theory test! No need for apps, books or DVDs. We’ll even book the theory test on your behalf. The best one to one practical training available, with an expert instructor dedicated to your success. Of course, you are welcome to organise your own medical and theory tests should you prefer, but our all inclusive service is the easiest way to gain your C1 driving licence. No other training provider in the local area provides the same level of support at such an unbeatable price.